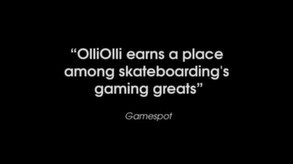 If you're into the crazy stunts and tricks of Tony Hawks and have fond memories of the classic 720, then OlliOlli should scratch your itch. It's an addictive and fun little game which suffers from a few controller issues, but is otherwise a great experience. 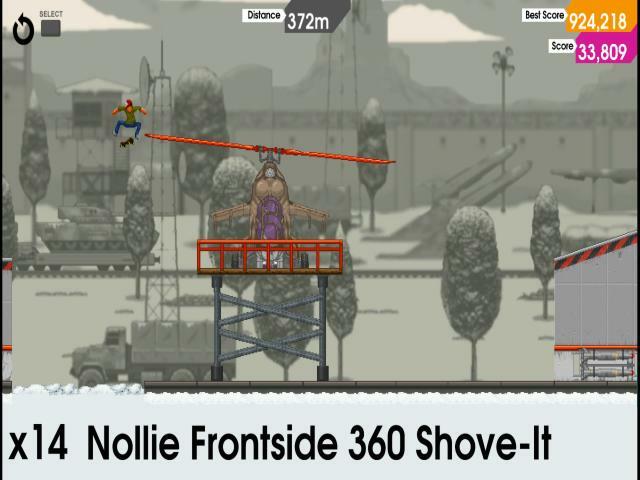 The game is basically a side scrolling skateboarding sim which sees you rolling through a series of varied and imaginative environments, pulling tricks and basically acting like a dude. 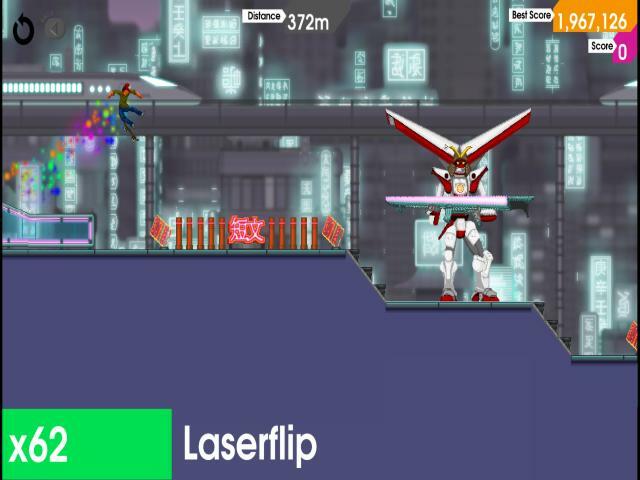 There's a wide range of tricks to try out, with over one hundred available, while there are over fifty levels to race through, 250 challenges and a variety of game types to test your skill at. 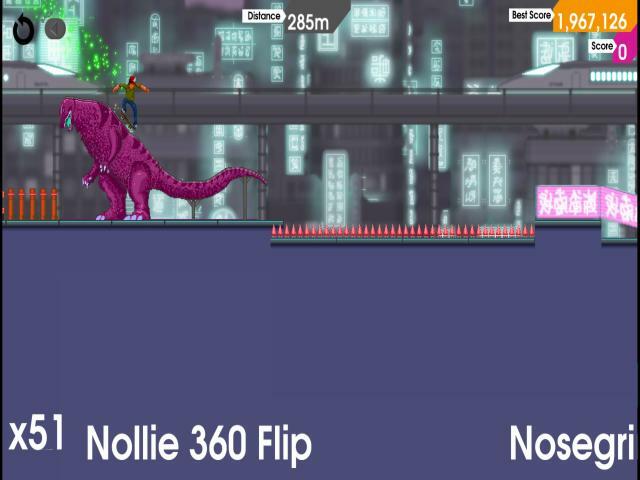 You've got Career, Spots and RAD modes, which add some appeal, while the levels feature a great selection of obstacles both realistic and fantastic. There's a lot of collectibles too and the game requires some serious attention to detail and precision in order to pull off so be prepared for a rough ride, at least to start with. If you're into skateboarding, this is pretty much a no-brainer, and you're almost guaranteed to have a great time here. The range of tricks, challenges and environments is big draw and it will take a long time to master them all, thanks to the precision which is required to nail them properly. The visuals are simple but effective, with a nice old-school pixel-style look to them, and which have a lot of personality but which are occasionally a little drab. The controls are tight and responsive, and the music as cool as you would expect, so for board freaks, this makes for a great ride.